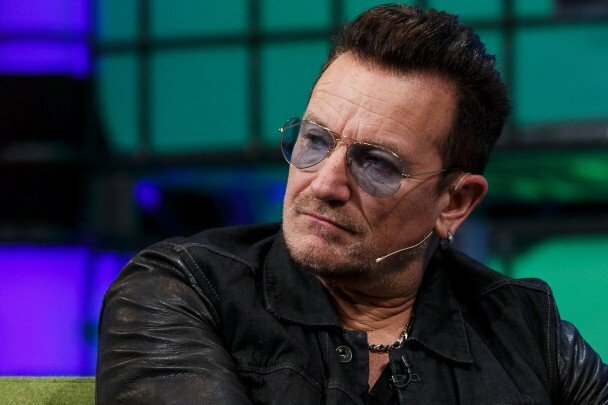 Bono got an arm injury after falling off a bike in Central Park, New York. U2 revealed on its website that Bono will require surgery on his arm. The band was due to start a week-long residency on the Tonight Show with Jimmy Fallon, which they have postponed. “We’re sure he’ll make a full recovery soon, so we’ll be back!” said the statement from Edge, Adam and Larry. The U2 frontman flew back to the US after taking part in the Band Aid 30 charity single recording in London on November 15. The recording, which comes 30 years after the original, is raising money for the fight against Ebola. The week-long residency on The Tonight Show with Jimmy Fallon is part of the band’s promotional tour for their album Songs of Innocence. U2 came in for criticism after the album was automatically added to the libraries of all iTunes users around the world.